One of a kind vintage china mosaics for your shabby chic or cottage style home or garden. Exquisite vintage porcelain china too! All Things Pretty for your romantic, cottage, chic, shabby or victorian style decor. 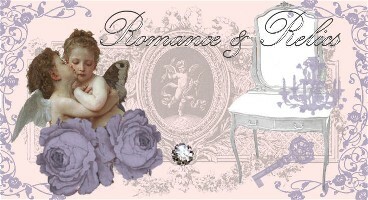 Romantic Rose Oil Paintings and Cherubs Art. Romantic one of a kind hand painted roses on furniture, shabby Chic architectural salvage and decorative items. My fine Art Canvas Prints and Posters. My exquisite Romantic Roses and cherubs Pillows. Twelve Days in Paris...the Inspiration of a Lifetime. Home design and gift notions for the Parisienne in you! specializing in vintage home decor,pillows,totes,children's wear, blankets, and sachets. Offering Shabby Chic, Romantic & French Country Accents & Accessories for your Home. Including Gift Items, Rosanna Tableware & Rose Inspired Decor. Clothier of 1800's Gowns and Dresses. As seen in Southern Lady Magazine with Shabby Lanes! Enjoy Vintage + Victorian inspired shopping. Sweet Romance Jewelry,Victorian Bride,Gorgeous Accessories, Children + Babies, Exquisite Home Decor + More! 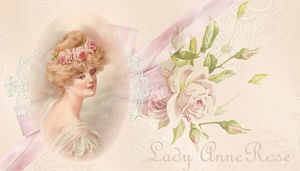 The prettiest shabby vintage reproduction images, many from the Victorian era, that are perfect for your scrapbooking, card making and craft projects. Antiques, Vintage Treasures and Unique Cottage Decor to help create the romantic cottage of your dreams. Hand made cottage chic and retro style greeting cards and tags.I also offer a line of my handpainted greetings. 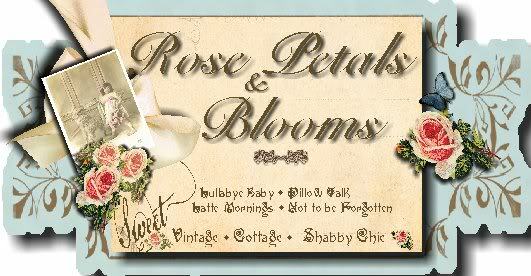 Shabby Shan's Cottage specializes in all things shabby and romantic. Here you will find shabby handmade birdhouses and picture frames, handmade gift tags, scented candles and vintage treasures. Romantic Lighting for your cottage chic home. Lisa's offers and eclectic blend of heartwarming gifts and decor for your country, shabby cottage, or beachy chic home.